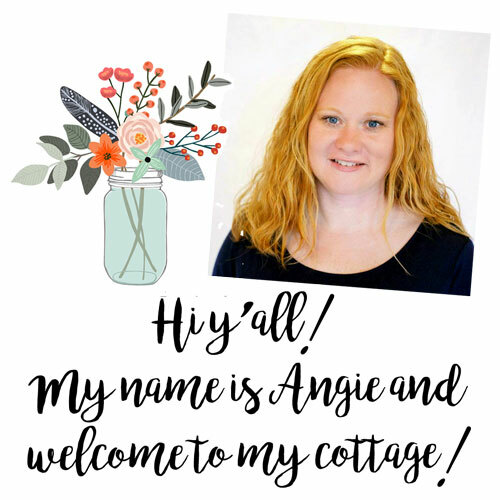 I have a wonderful gift idea and a recipe for you today all in one post. My DIY gold glitter monogram mug is so easy to make and will make a great gift for anyone on your holiday list. Add my dark hot chocolate recipe to it and welllll….you might just want to keep it for yourself. Seriously the best hot chocolate I have ever drank and it is so easy to make. 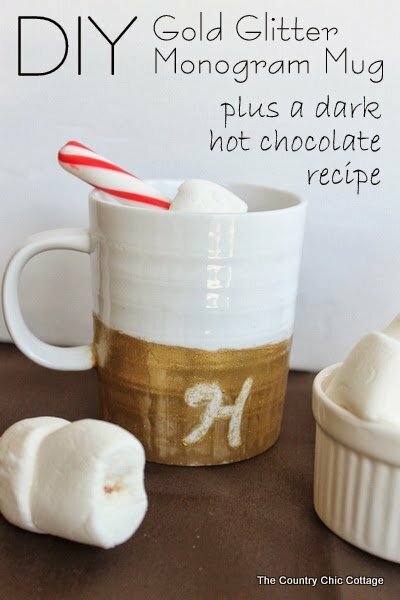 You will have to head over to the Old Time Pottery blog for both the tutorial for the mug and the recipe for the hot chocolate. Go ahead…click over…you know you want to dive right into some dark hot chocolate! previous post: 20+ Halloween Treats NO BAKING REQUIRED!